There are mainly eight types of mystic perfection one can possibly realize but Rupa Gosvami points out that a devotee is not interested in any of the eight types of mystic perfection because for a devotee all the mystic perfections are temporary. 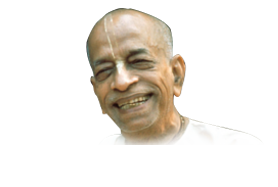 Prabhupada struggled for years to establish ISKCON. He could have just used a siddhi to establish ISKCON. A devotee does not want to use the siddhis rather he wants to struggle for Krsna. Once when Prabhupada was coming down the lift in New York, the devotees were telling him, “Prabhupada! Please take rest, you are not feeling well.” Prabhupada’s health was not so good at that time. Prabhupada looked at them and said, “Please don't take away my privilege to struggle for Krsna.” Struggling for Krsna is actually a privilege. When you do some seva for Krsna, you have to struggle. A devotee does not want an easy shortcut. 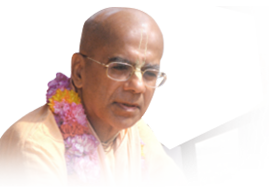 He is willing to struggle for Krsna because unlike material struggle which results in ulcers, spiritual struggle results in determination to execute devotional service. You can attain spiritual bliss only by executing devotional service.